1. Find an old chain or bracelet for base. 2. 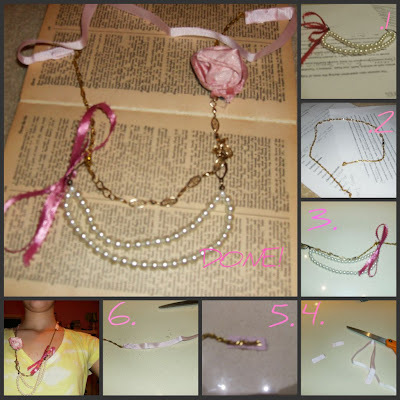 Add the pearl piece or other adornment by strong glue. 3. 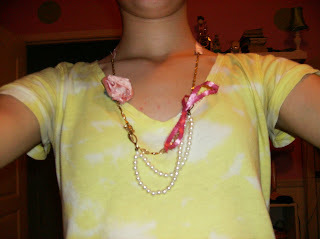 Make a rosette using this tutorial here and make a felt sandwich to athach it to and then to the necklace. So it goes: rosette felt chain felt. ces of ribbon and super or hot glue to the bottom side of the chain. 5. Cut to same-length ribbons to match the smaller piece. 6. Glue onto other side of chain. Tie and wear with pride!